Chris was really excited when a bird appeared in the same part of the yard that hosted a ovenbird last year. However, upon closer inspection, it turned out to be a hermit thrush. Still exciting, but we miss "Ov." 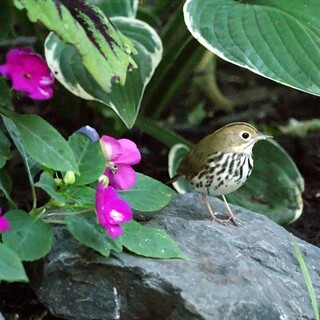 Here's the ovenbird from last year. 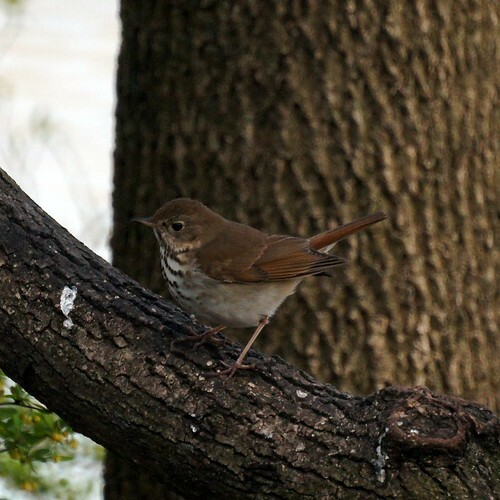 I was excited to hear that ovenbirds were migrating up the east coast, but unfortunately, this picture is of a hermit thrush. 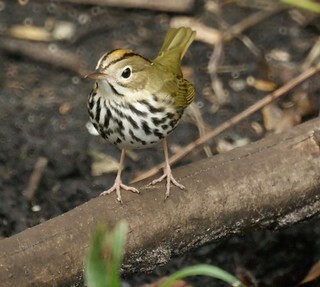 Is this picture of the same bird you observed in your area? An exciting bird nonetheless! Thanks. We were so excited that we didn't take out the bird guide and we've never had a hermit thrush before.